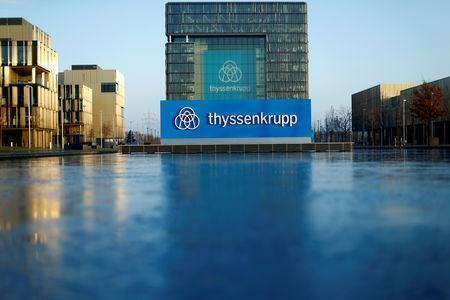 FRANKFURT (Reuters) - Thyssenkrupp's decision to simplify its corporate structure marks a victory for activist investor Cevian as the German conglomerate strives to keep shareholders onboard with its broader restructuring plan. The company said the move, which includes taking out parts of its organisation related to regional headquarters and shared services, would help to reduce general and administrative costs to below 300 million euros (£263 million) by 2020/21. That would be down by more than a fifth from current levels.